Barbie cupcakes, they weren't only nice and beautiful to look at but they are also delicious. I do not have a sweet tooth but this one is not that sweet so I enjoyed them much. 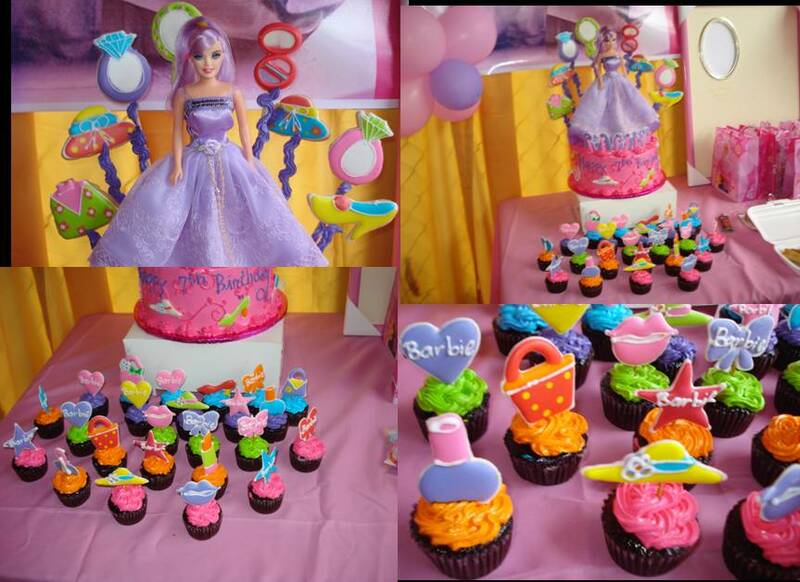 A friend is having party for her daughter (1st birthday) and guess what, she ordered cupcakes too! Do you also have cupcakes on your occasions? what do you prefer? chocolate or mocha or vanilla? I've not had a cupcake in years, so no. No little kids parties anymore either. I miss them too. I'll have a chocolate one. Thanks.